The change announced Thursday affects most of Netflix's 53 million U.S. subscribers. Netflix will now charge $11 per month instead of $10 for a plan that includes HD and allows people to simultaneously watch programs on two different internet-connected devices. The increase would be the first in two years for Netflix, although it won't seem that way for millions of subscribers. 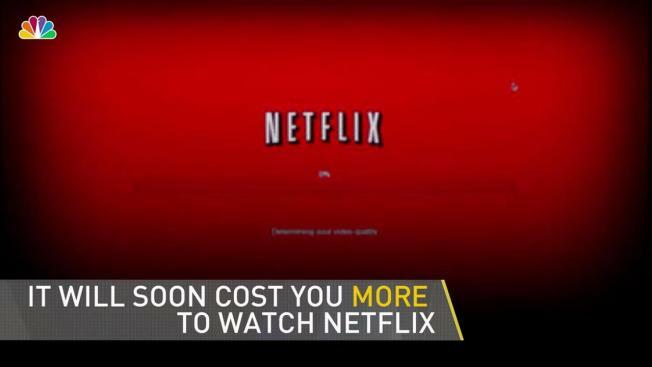 That's because Netflix temporarily froze its rates for long-time subscribers the last two times it raised its prices, delaying the most recent increases until the second half of last year for them. Netflix isn't giving anyone a break this time around. It will start emailing notifications about the new prices to affected subscribers Oct. 19, giving them 30 days to accept the higher rates, switch to a cheaper plan or cancel the service. The price increase are being driven by Netflix's desire to fatten its profit margins as it spends more money to finance a critically acclaimed slate of original programming that includes shows such as "House of Cards," ''Orange Is The New Black," ''Stranger Things," and "The Crown." Those series' success helped Netflix land more Emmy award nominations than any TV network besides HBO this year. It's also the main reason Netflix's U.S. audience has nearly doubled since the February 2013 debut of "House of Cards" kicked off its expansion into original programming. But paying for exclusive TV series and films hasn't been cheap. Netflix expects to spend $6 billion a year alone on programming this year, and the expenses are likely to rise as it competes against streaming rivals such as Amazon, Hulu, YouTube and, potentially, Apple for the rights to future shows and movies.